Exilight provides Self Contained Centrally Monitored Emergency & Exit LED lights which makes the installation and maintenance of Self Contained luminaires very simple and cost efficient. 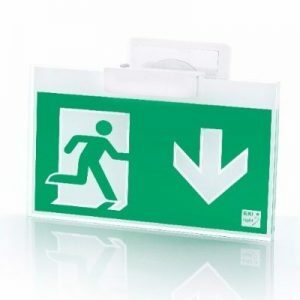 Upto 100nos of Addressable Self Contained Emergency/ Exit luminaires are connected on a single circuit with a 2core Cable and thus reducing the overall cabling of the system. Incorporating High Quality LED products & Lithium Ion Batteries helps in longevity of Exilight luminaires and also helps in reducing maintenance costs. The Area Monitoring unit helps in sub circuit monitoring to switch ON the Non-Maintained Luminaires on the circuit. All products are approved by BSI Kitemark which validates the quality of the product. 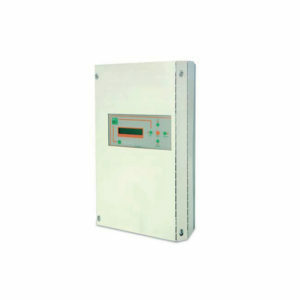 The panels can also be connected over IP to a Central Control Station for remote monitoring of multiple panels.